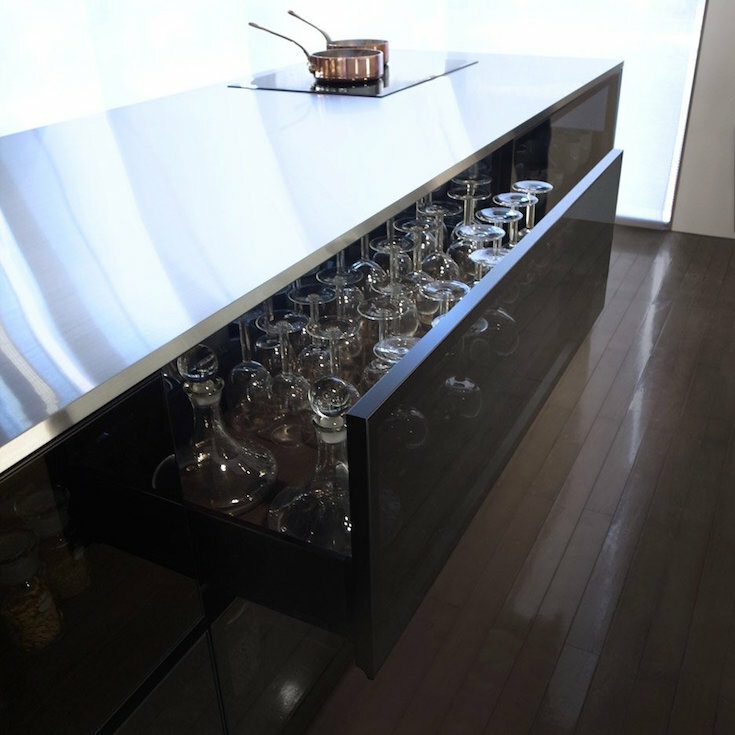 Tokyo-based Yoshioka designed the Finesse kitchen for Nagoya brand Toyo Kitchen Style, after being asked to create an innovative and original kitchen concept. The designer unveiled his first proposal in 2010 and has been working with the client since then to refine the design. Yoshioka often uses glass in his designs, with past examples including a transparent tea house beside a Buddhist temple, a table with a mirrored surface and a see-through wardrobe and matching bench. His design for the Finesse kitchen is based on the notion that open-plan living has allowed cooking to take on a central role in domestic life. unveiled his first proposal in 2010 and has been working with the client since then to refine the design.